1. 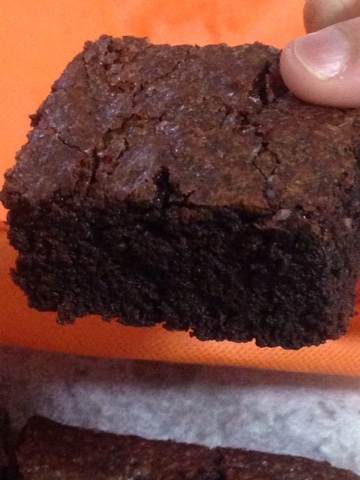 Preheat oven at 170 C and grease a brownie pan with butter or line with baking paper. 2. Microwave chopped cooking chocolate and butter together until chocolate is melted and smooth. Mix well and keep aside to cool. 3. Whisk eggs and egg yolks in a bowl and add to chocolate mixture. Choclate Mixture should not be hot otherwise eggs will become scrambled. Mix well. 4. Sift flour and cocoa powder in bowl. Add sugar and stir to mix dry ingredients. 5 . Add dry ingredients to wet ingredients and mix gently. Do not over mix as it'll result in hard brownies. 6. Pour in prepared brownie pan. Smooth the top and bake in preheated for about 40 minutes. 7. Skewer inserted will come out with bits of scrambles. It should not wet but do not wait until toothpick or skewer comes out clear. Over baked brownies will become hard. 8. Take out and let them cool for few minutes outside and then 2-3 hours in fridge to set completely. 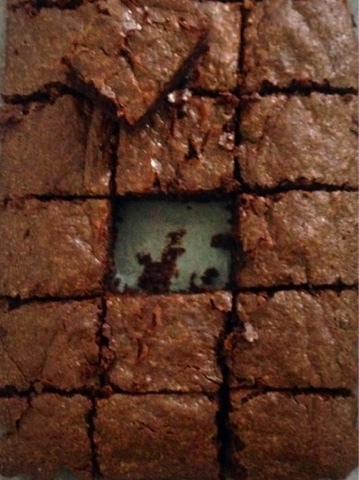 Enjoy your yummilicious brownies as it is or with whipped cream, ganache or icecream.